Refugee Facilities Administration of the Ministry of the Interior ( RFA MOI) is an organizational section of the state subordinated to the 1st Deputy Minister of the Interior for Internal Security. Need more detailed information? Contact us. RFA MOI was established on January 1, 1996 as a detachment of the Refugee Section (now the Department for Asylum and Migration Policy – AMPD MOI.) The reason was to separate the authority of the state administration in the area of asylum policy and administration process of granting asylum, from providing services to applicants for asylum, or international protection. RFA MOI has become a practical implementator of a part of the national migration and integration policy. RFA MOI closely cooperates with other departments of the Ministry of the Interior – Department for Asylum and Migration Policy (AMPD MOI), Police of the Czech Republic (PCR), and Health Facilities Department of the Ministry of the Interior. RFA MOI activities are defined by Law No. 326/1999, Coll., on the stay of foreigners on the territory of the Czech Republic, and Law No. 325/1999, Coll., on asylum. Operates several types of facilities – Reception Centers, Residential Centers, Integration Asylum Centers, Facilities for the Detention of Foreigners. Provides services to different categories of foreigners based on their legal status – applicants for international protection, international protection holders, detained foreigners. Is a general provider of integration services for international protection holders within the scope of the State Integration Program. Operates Centers for the Support of the Integration of Foreigners for third countries foreigners in nine regions of the Czech Republic. Ensures implementation of voluntary returns of international protection applicants to their country of origin. Ensures economic service for AMPD MOI. Reception Centers serve for the accommodation of newly arrived applicants for international protection as long as the elementary entry procedures are being completed (identification, filing application for international protection, health examinations). The reception centers provide accommodation, food, basic hygienic needs, health care, social and psychological services, and leisure time activities. RFA MOI operates a reception center in the transit area of Václav Havel Airport Prague (external Schengen border), and a reception center at Zastávka (near Brno, capacity of 199 beds. Due to a short term stay of applicants, Zastávka is able to receive an increased number of persons applying for international protection.). After the completion of the procedures at the reception center applicants (those who cannot afford to provide for their own accommodation) can choose to stay at one of the residential centers. Clients can leave the facility freely; they receive financial allowances, but prepare their food themselves. Clients can use the services of social workers, legal and psychological assistance, and can choose from a variety of leisure time activities, and voluntary Czech language courses. It is the first place of integration, usually smaller accommodation facilities with flats located in cities. Clients start their integration activities with the assistance of a social worker who provides counselling and other services. International protection holders who are not accommodated at Integration Asylum Centers but have their own accommodation, use a network of counselling centers which are established and operated by the RFA MOI and which provide integration services to holders of international protection in a respektive region. Major activities of the State Integration Program include access to clients’ own housing, jobs, education, and other meaningful activities supporting the integration in Czech society. 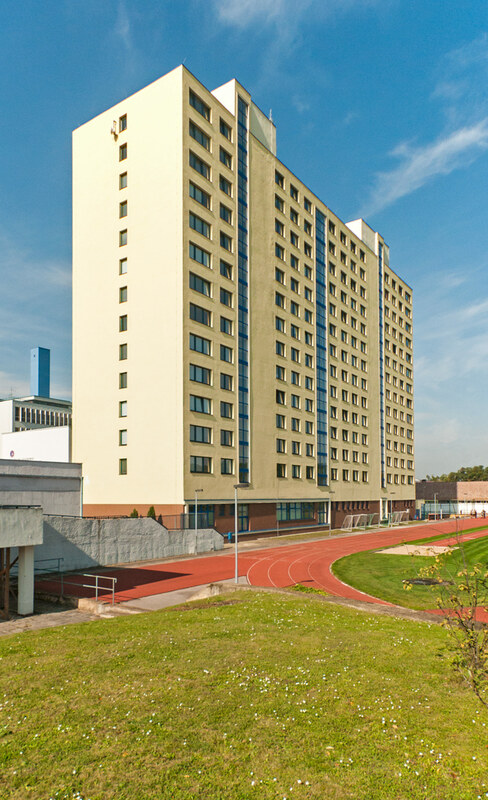 These facilities are designed for detention of foreigners who obtained the decision on administrative expulsion from the Immigration Police, and who must leave the Czech Republic. Foreigners are provided with accommodation, food, and other material needs; clients can use the services of social workers, leisure time activities, psychological and legal services and urgent health care. Facilities for the Detention of Foreigners are one of the pillars of an effective return policy of the Czech Republic. The point is that those foreigners who have to leave the Czech Republic because of their illegal stay are placed in these facilities and they must not leave them. At the same time, the state provides dignified conditions for their stay until they leave the country. A foreigner who has asked for international protection in the Czech Republic or in another EU member state, is defined as an applicant for international protection. The Czech Republic is authorized to assess the application. International protection means either asylum or subsidiary protection. It is a person who enjoys international protection either as an asylum or subsidiary protection holder. That person has the same rights and duties as a foreigner with permanent residence permit (e.g. access to the job market, health care, or social services.) Contrary to asylum, subsidiary protection is granted for a specific period of time during which the authorities examine whether the reasons for which subsidiary protection was granted still prevail. Foreigners coming from countries outside the European Union live in the Czech Republic on the basis of a residence permit. They are persons who entered or stayed on the territory of the Czech Republic (European Union) illegally. They were detained because of their illegal stay and in order to be administratively expelled or handed over under the international convention or the applicable EU directive. The main aim of the State Integration Program is to support the integration of persons whom the Czech Republic has granted international protection. Under the law and a government decree, RFA MOI is an authorized general provider of integration services. This decree allocates funds for the implementation of the program. International protection holders can stay in another type of facility operated by the RFA MOI – integration asylum centers. The main aim of the centers is to support the integration of third country citizens. „Concept of Integration of Foreigners“. RFA MOI operates the centers in nine regions: Moravian-Silesian, Pardubice , Pilsen, Zlín, Karlovy Vary, Liberec , Southern Bohemia, Olomouc and Vysočina. The Centers offer third country citizens free Czech language and social and cultural courses, counselling and information services, legal and other services. One of the important activities of the center is coordination or participation in the operation of regional platforms, which are a meeting place of representatives of all actors in the field of the integration of foreigners in a particular region (labor offices, immigration police, NGOs, local administration, schools, etc.). The platforms identify concrete problems, and help coordinate individual actors, provide for better exchange of information, respond to topical needs. Thousands of foreigners from dozens of countries use the centers‘ services. The centers‘ activities are funded by the Asylum, Migration, and Integration Fund (AMIF). The Czech Republic decree No. 388 of 22 May, 2017, stipulated to establish a Coordination Center for Foreigners in the Kvasiny industrial Zone as part of the measures solving a deteriorating situation in the industrial zone and its neighborhood due to the increased employment of foreigners. This center should help improve the situation and prevent negative phenomena related to the employment of foreigners. The Voluntary Returns Program is designed for applicants for international protection who have decided to terminate their asylum procedurę of their own accord. The Program is implemented by the RFA MOI under Section 54a of the Act on Asylum. It offers the clients a safe and dignified return to their country of origin. The RFA MOI provides the acquisition of a free flight ticket and assistance in obtaining the travel documents and counselling. In case it is not possible to provide a flight ticket to a destination of the client’s choice, he can get a contribution for transportation in the country of destination. The RFA MOI can also provide accommodation during voluntary return procedures and necessary assistance such as the acquisition of travel documents, transportation to the place of departure from the Czech Republic, or during transfer in a foreign country. The applicant returns home as a tourist, and the authorities in the country of origin do not know the reason of his stay in the Czech Republic – therefore, it is their own choice. The program is beneficial for both sides – the unsuccessful applicant for international protection avoids the risk of illegal stay and its consequences, and for the Czech Republic a voluntary return of a foreigner is economically more advantageous than his further stay in the country. The organizational structure of the RFA MOI is designed to provide flexible response to changes in migration developments by providing sufficient capacities in the asylum migration, as well as for foreigners who stayed on the Czech territory illegally, and who are placed in detention facilities for foreigners. The RFA MOI has its headquarters in Prague – it is the seat of the director of the facilities who directly supervises individual departments and sections. Information is published in accordance with the European Parliament and Council Regulation (EU) 2016/679 of 27 April 2016 on the protection of natural persons in connection with regard to the processing of personal data and on the free movement of such data and repealing Directive 95/46/EC (general data protection regulation – GDPR, hereinafter referred to as the “Regulation”) and in accordance with domestic legislation concerning the protection of personal data.